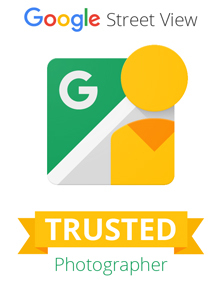 You are here: Home / Local SEO / Have You Claimed Your Google Page? 83% of businesses have not claimed their Google+ page – have you? 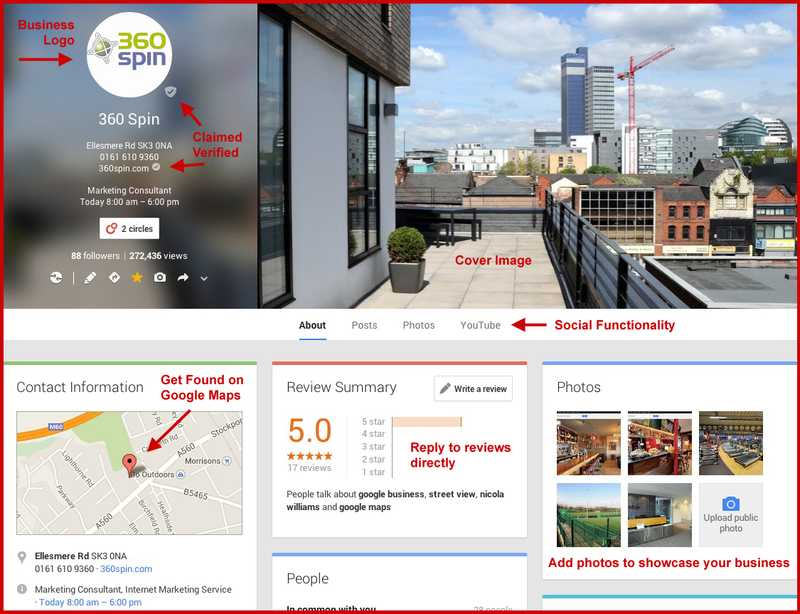 Google + pages are business listings within Google that allow consumers to quickly and easily find the products and services they are looking for. This makes it easier for customers to find local businesses as well as rate and review their favourites. This means when people search for your business services you are more likely to come up in their search results as a local supplier. 83% of businesses have not claimed their Google+ page – have you? Google have gone through a number of updates to the Google + system. It’s important to make sure your local listing is up to date with these changes so that you’re not missing out on some valuable tools. Such as the option to post from your Google page. 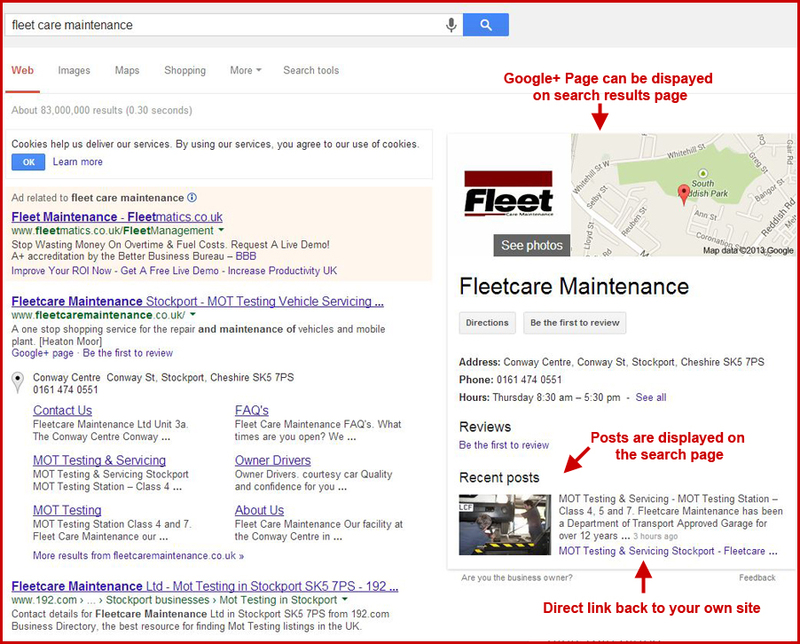 This example shows a claimed and verified Google page. 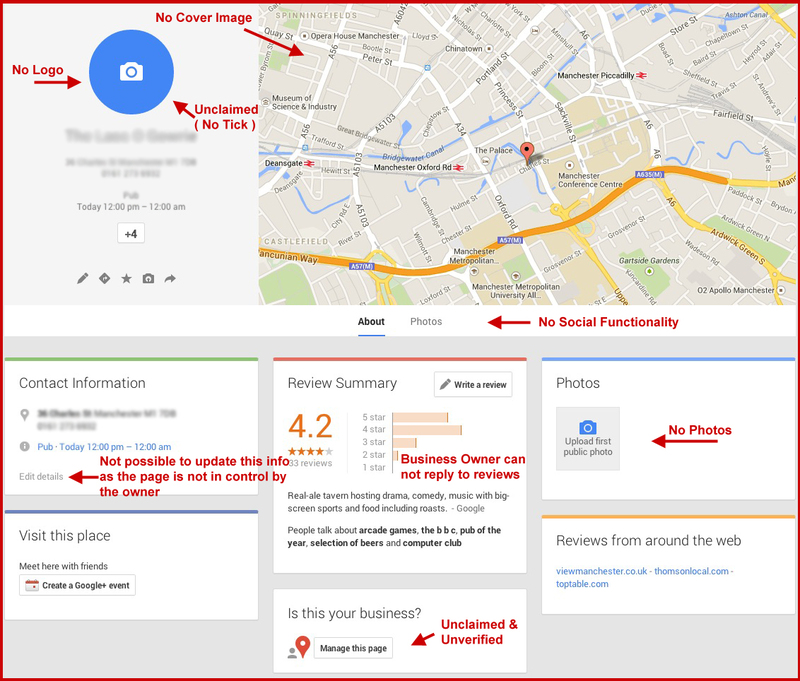 The latest Google My Business pages have the business listings integrated with the social media platform. We are able to quickly and efficiently update your Google + page so that you are using the latest version. Google is evolving and it is important to keep up and ensure your web presence is optimised. Here at 360 Spin we ensure our knowledge and expertise tracks the developments at Google and invest heavily in our training. We offer an outstanding service to our clients and can work on many levels including help with creating that all important content. They say content is king – and it certainly is with Google. 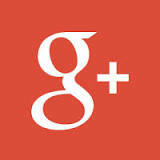 Claiming and developing your Google Plus page will enhance your online visibility.